Lazy Beach Brewery – Pumpkin Release! 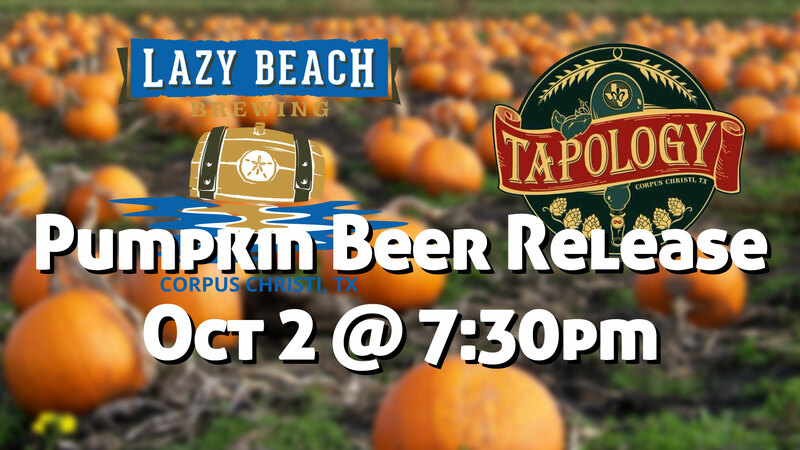 Join us at Tapology Texas Pub this Friday October 2 starting at 7:30pm to enjoy the release of our Pumpkin beer! This release only has a limited quantity, once it is gone, it is gone for the year! In addition to the new Pumpkin we will also have the Belgian Blonde, Texas Bock and Original Blonde on tap!